Photo: Mike Fortune / Offside 12/03/2011 Wales v Ireland in RBS Six Nations match at the Millennium Stadium, Cardiff. 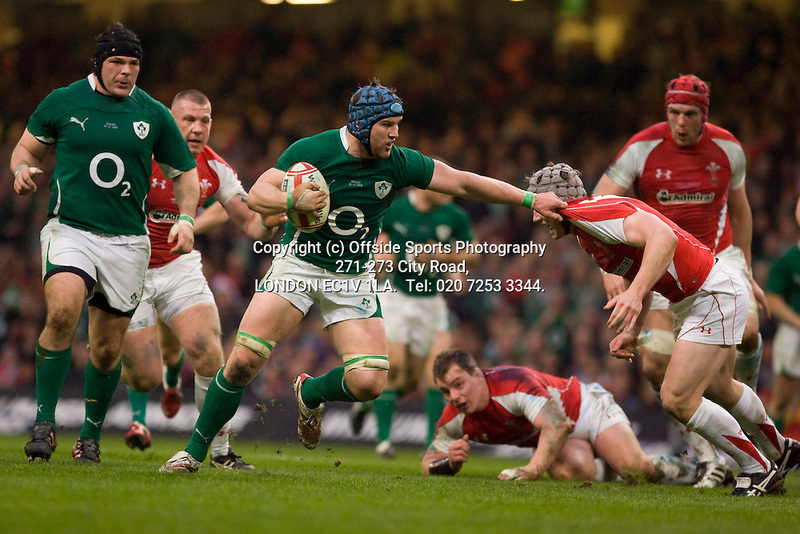 Sean O'Brien charges forward through a Dan Lydiate tackle. (c) Offside Sports Photography 271-273 City Road, LONDON EC1V 1LA. Tel: 020 7253 3344.